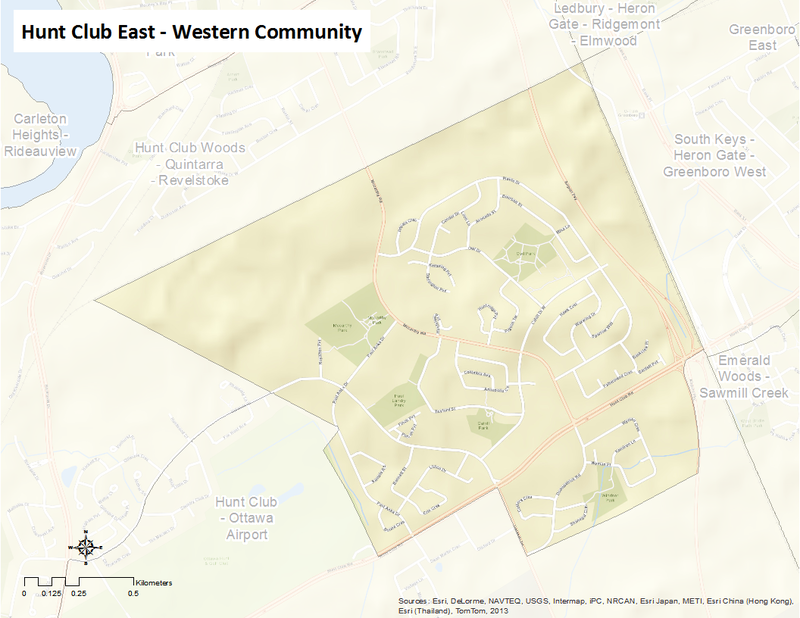 Hunt Club East-Western Community is bounded by the Ottawa-Carleton Railroad to the north, Hunt Club Road to the south, the O-Train line to the east and Uplands Drive to the west. The Hunt Club neighbourhoods were initially part of the Gloucester Township before their amalgamation with Ottawa in 2001. The area was settled in the early nineteenth century and was later named after the prominent Ottawa Hunt and Golf Club, which was established as a private club in 1907. The current Hunt Club neighbourhoods (bedroom communities where people sleep but do not necessarily work) date back to the 1970s and include Ashgrove, Riverside Park, Quarry, and Bayview.